The 70th anniversary of D-Day, the Normandy landings which launched the liberation of Europe, is being marked with celebrations in western France today. 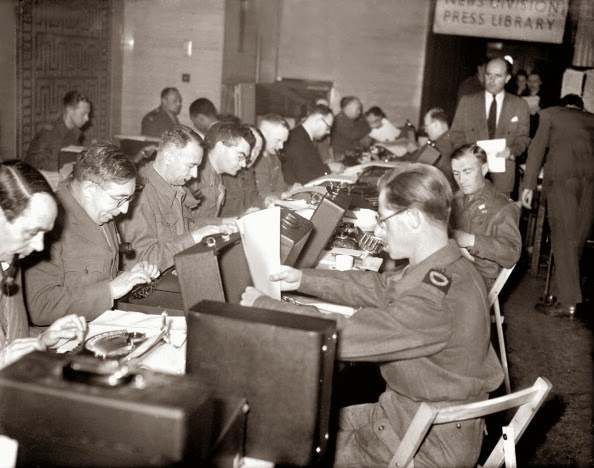 In the image above, war correspondents work from the Ministry of Information in London as they type the first dispatches of the invasion. 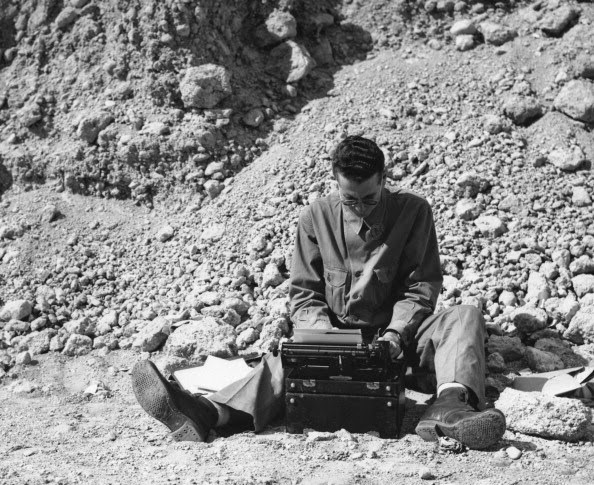 On that same day, June 6, 1944, TIME war correspondent William Edwin Walton - later better known as an abstract expressionist painter - was using a US Army issue Hermes Baby portable typewriter from the battle front. 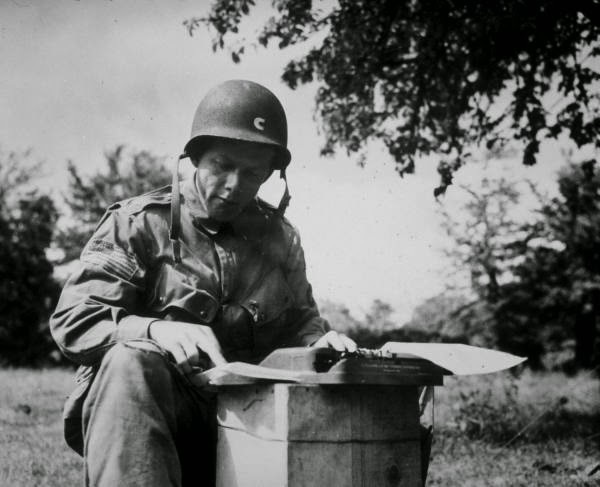 Walton had received permission to parachute into Normandy with the 82nd Airborne Division on D-Day. Walton was born in Jacksonville, Illinois, on August 24, 1909, the son of the owner-publisher of the Jacksonville Journal-Courier. He graduated from the University of Wisconsin and worked for his father's newspaper, then got a job with the Associated Press. Walton later worked for PM, a leftist newspaper in New York City. 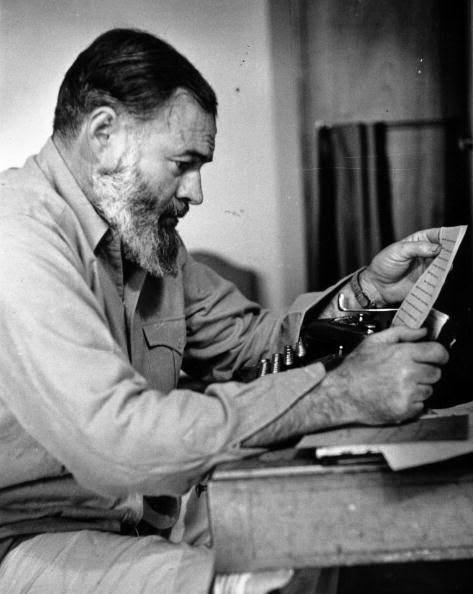 In the lead-up to D-Day, Walton met Ernest Hemingway in London and the two became close friends. After landing in France, Walton set up base in Cherbourg, where he was visited by Hemingway. The image below was taken during that period, in mid-July 1944. Hemingway later saved Walton's life during the first phase of the Battle of Hürtgen Forest in September-October 1944. Hemingway recognised the sound of an oncoming German plane and threw Walton out of the jeep they were riding in just moments before it was strafed. 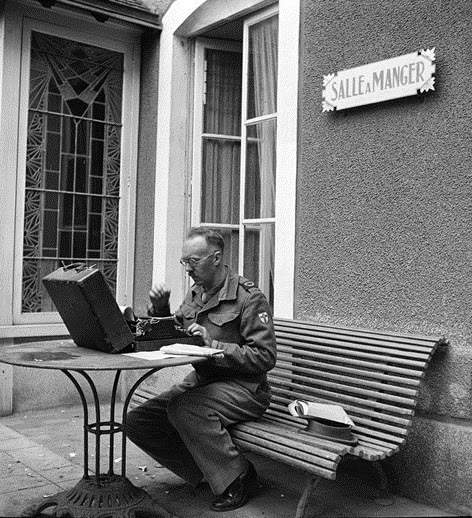 Walton moved into the Hôtel Ritz in Paris in January 1945, covering the war from the liberated city. After Hemingway committed suicide in 1961, Walton used his connections with President John F. Kennedy to help Mary Welsh obtain a passport to Cuba to retrieve her late husband's effects and papers. 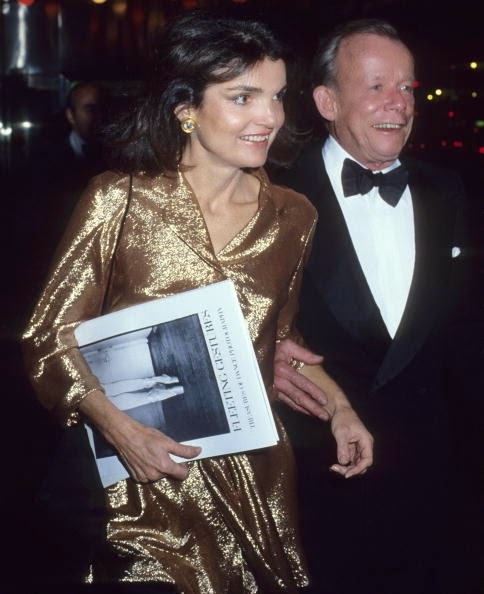 Walton convinced her that Hemingway's papers should be deposited at the Kennedy Presidential Library and Museum (of which Walton later became a trustee). 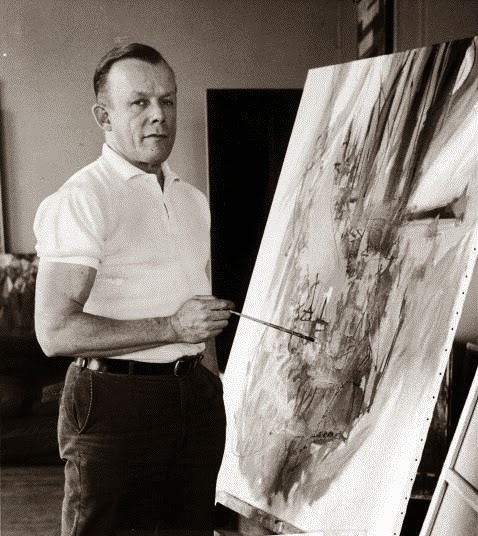 After the war, Walton became TIME correspondent in Washington, but in 1949 he abandoned journalism for painting. He lived in Georgetown, where a neighbour was Kennedy, with whom he became close. Walton went on to play a key role in Kennedy's 1960 presidential campaign, running the campaign operation in West Virginia and Wisconsin. 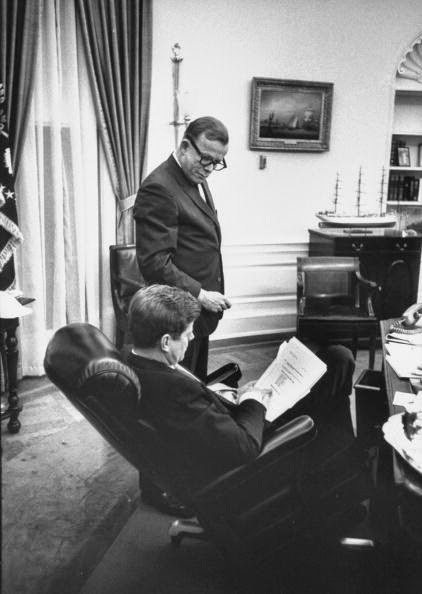 In the general election campaign, he had overall control of the Kennedy operation in New York and was given election assignments in Maine and California. By the end of the campaign, Walton was considered one of Kennedy's closest associates. He redecorated the White House, and later played a very significant role in arrangements for Kennedy's funeral. Walton became chairman of the Commission of Fine Arts and in that position helped save the historic buildings around Lafayette Square, Washington. The commission became an increasingly powerful and influential voice on design issues in Washington. Walton also went on a secret diplomatic mission to the Soviet Union just eight days after Kennedy's assassination. He conveyed the Kennedy family's belief that Kennedy had been the victim of a vast right-wing conspiracy and not a Soviet assassination. Walton suffered a heart attack in 1993 and died in his sleep on December 18, 1994, at his home in the Chelsea neighbourhood of New York City, aged 85. 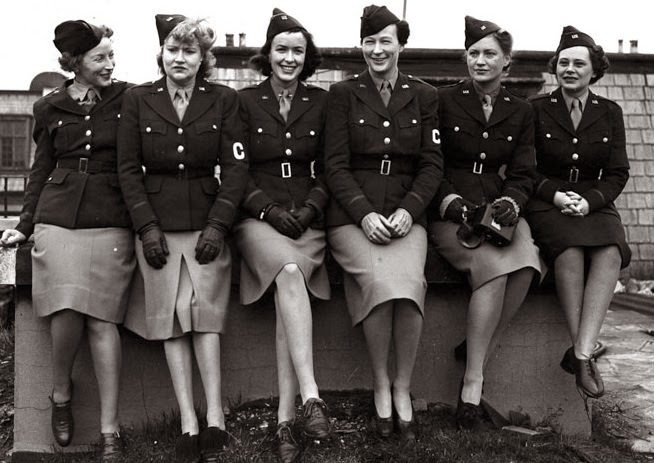 Hemingway's fourth wife, Mary Welsh (above, far left) was one of many female war correspondents who covered the Allied invasion of Europe. This group comprises Welsh (TIME and LIFE), Dixie Tighe (International), Kathleen Harriman (Newsweek), Helen Kirkpatrick (Chicago Daily News), Lee Miller (Vogue) and Tania Long (The New York Times). 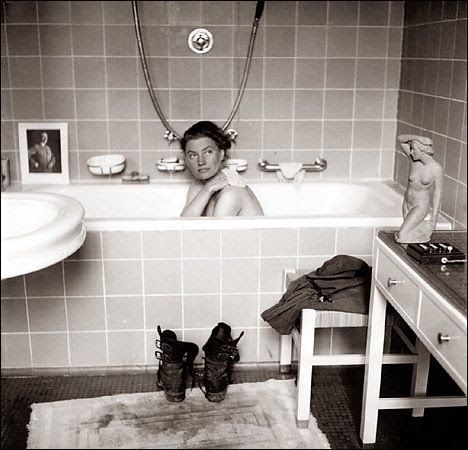 In 1945 Miller availed of the opportunity to soak in Hitler's bath in Munich. A portrait of Hitler sits on the edge of the bath, Miller's combat boots are on the floor in front of it, and her clothes and watch are on a chair. On the table, there is a small statue and a call button box. 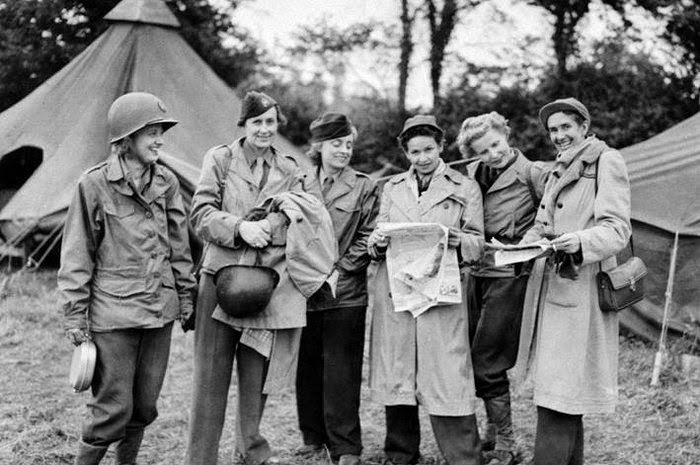 This is another group of female war correspondents, comprising Ruth Cowan (Associated Press), Sonia Tomara (New York Herald Tribune), Rosette Hargrove (Newspaper Enterprise Association), Betty Knox (London Evening Standard), Iris Carpenter (Boston Globe) and Erika Mann (Liberty magazine). Flight-Sergeant Fred Wood, of Adelaide, enjoys a smoko with the chief gendarme in a village in Normandy. Fred was a fitter with the Royal Australian Air Force, in charge of the maintenance of a Spitfire squadron. He was the first South Australian member of ground crew to land in France. Below, Spitfire squadron pilots, Flight Lieutenant V.A.Lancaster, of North Fitzroy, and Squadron Leader D.H.Smith, of Victor Harbour, talk to a recently liberated lass in Bayeux. Another RAAF pilot, Flight Lieutenant D.McK.Shanks, was shot down during an attack supporting the D-Day landings and was taken in by Normandy farmers, who dressed him as one of their own. Thus disguised, he was able to spy on a German V-1 rocket launching area for three months until the Allies arrived. 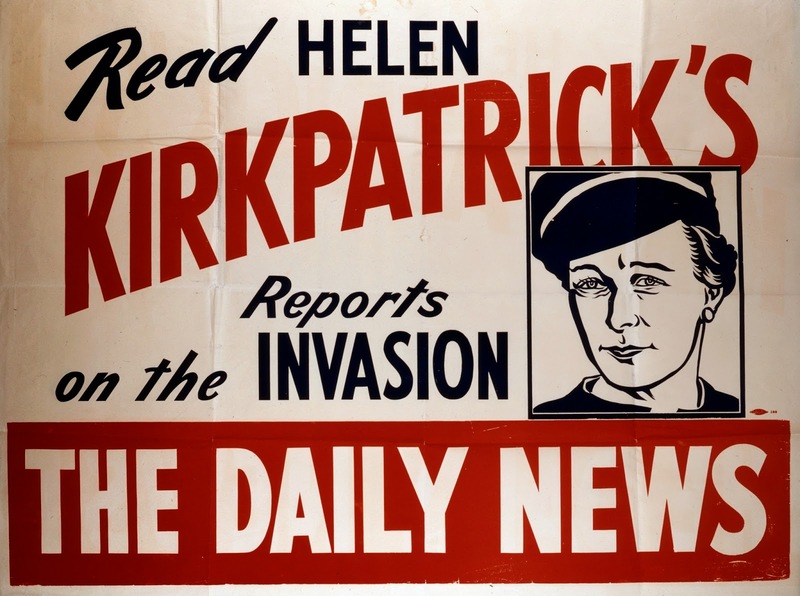 I never knew there were female war correspondents during WWII. 70 years. It seems so long ago, yet it seems not too long ago.